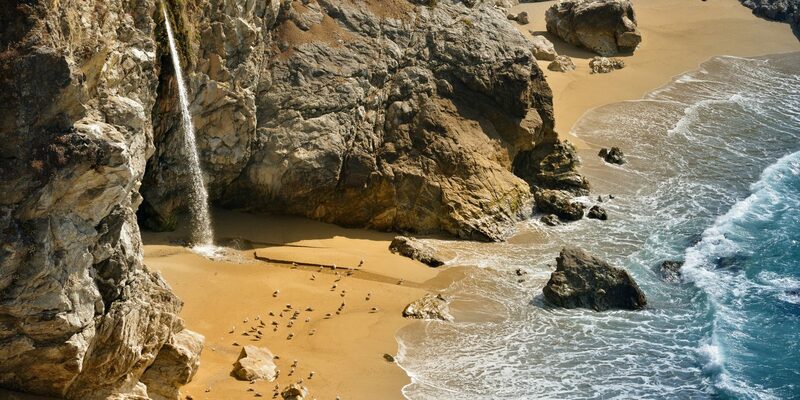 Home to nearly 3,500 miles of coastline, California is a beach lover’s paradise. 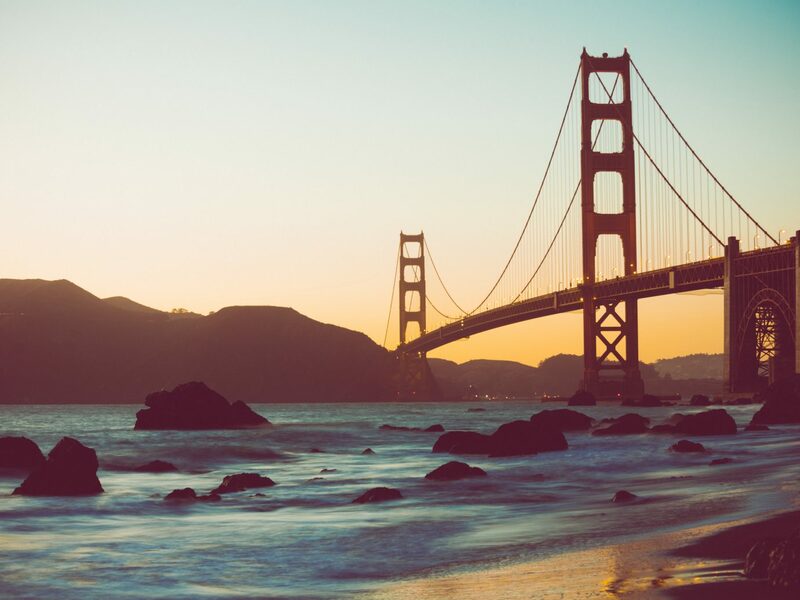 But with more than 250 million visiting the Golden State each year, finding your own secluded spot on the sand can be difficult. 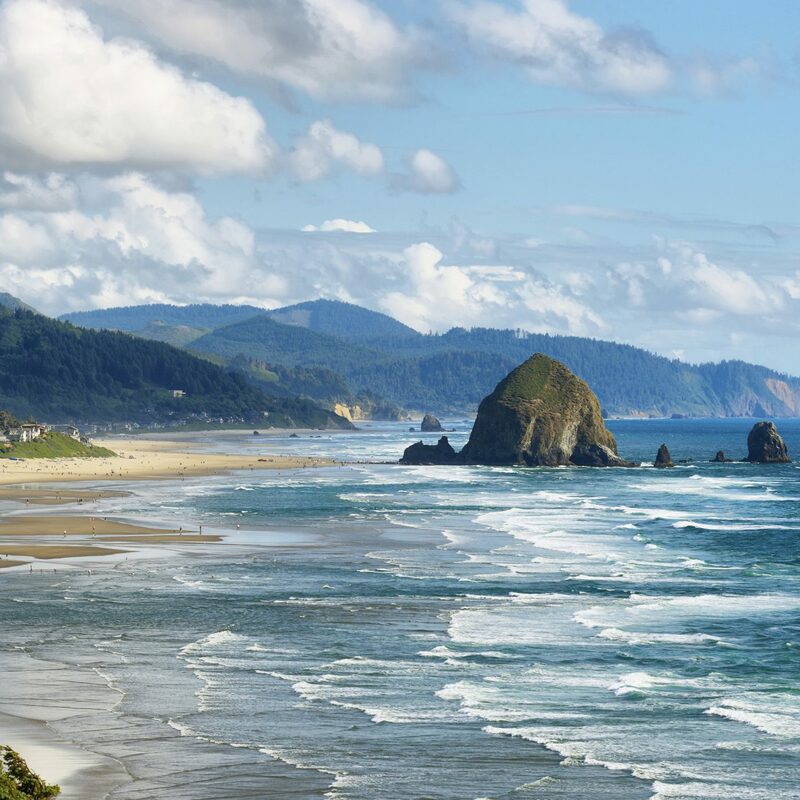 Whether you choose to spend your day sunbathing, surfing, or just walking the shore, these seven beaches are your best bet for the perfect combination of privacy and paradise. 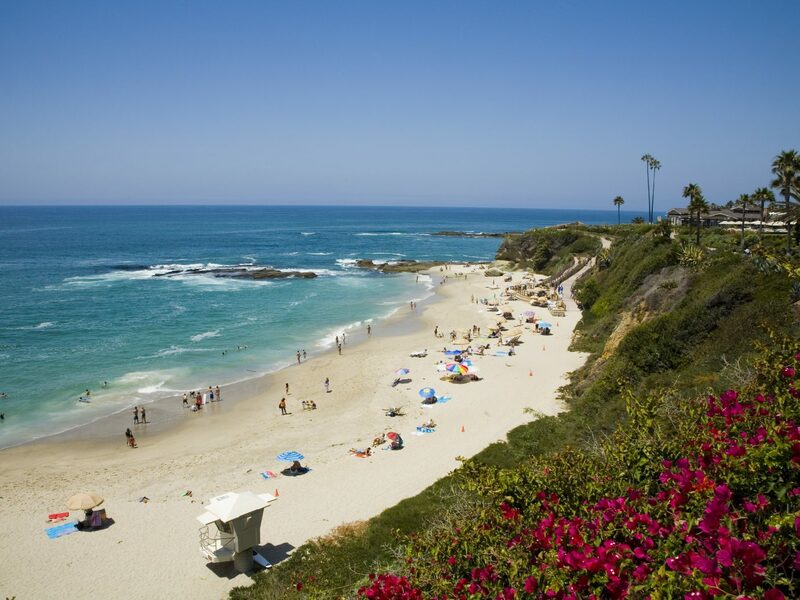 Beach-happy visitors to Orange County are often quick to make their way to tourist mainstays like Laguna, Newport, and Long Beach. But locals know there’s just as much fun to be had—and much smaller crowds—on the white sands of Seal Beach. 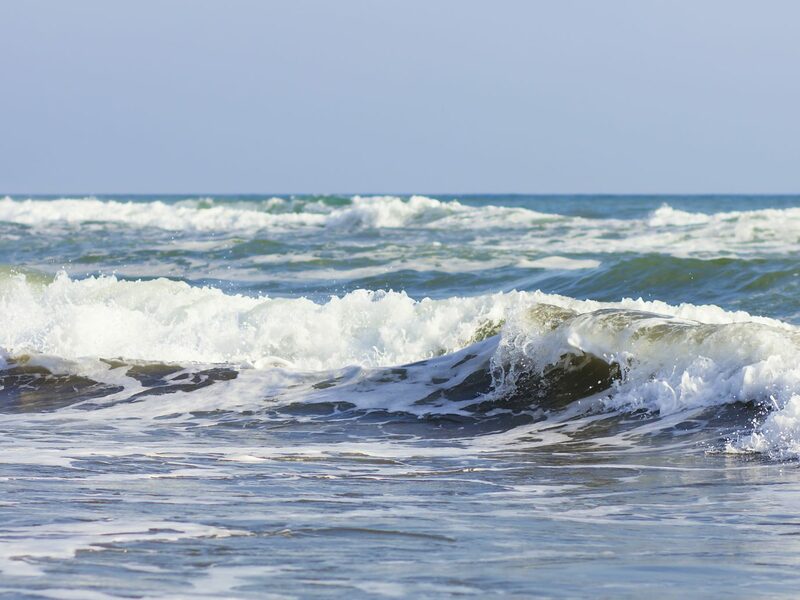 It’s the northernmost beach in the county, offering surf-ready waves and spectacular views from one of the longest wooden piers in the state. 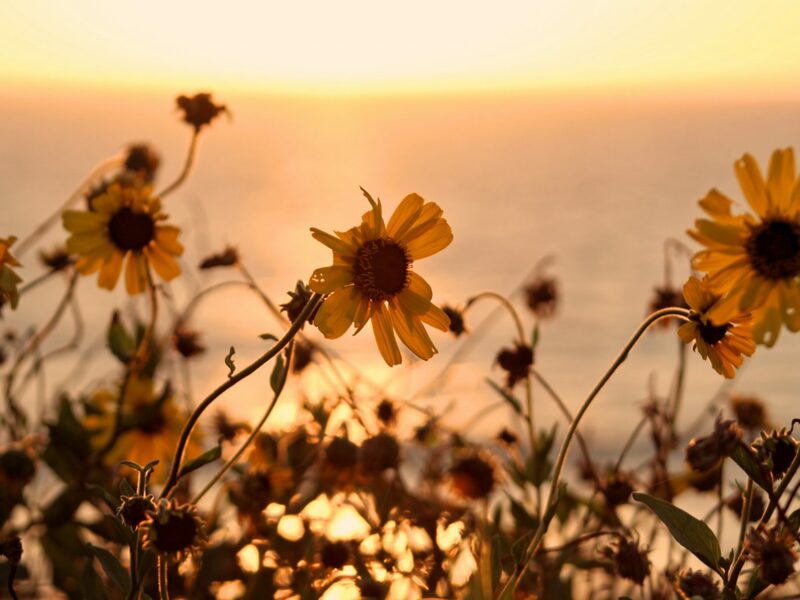 Stay nearby at the ideally-located Ayres Hotel Seal Beach, within walking distance to The Shops at Rossmoor and the Seal Beach National Wildlife Refuge. 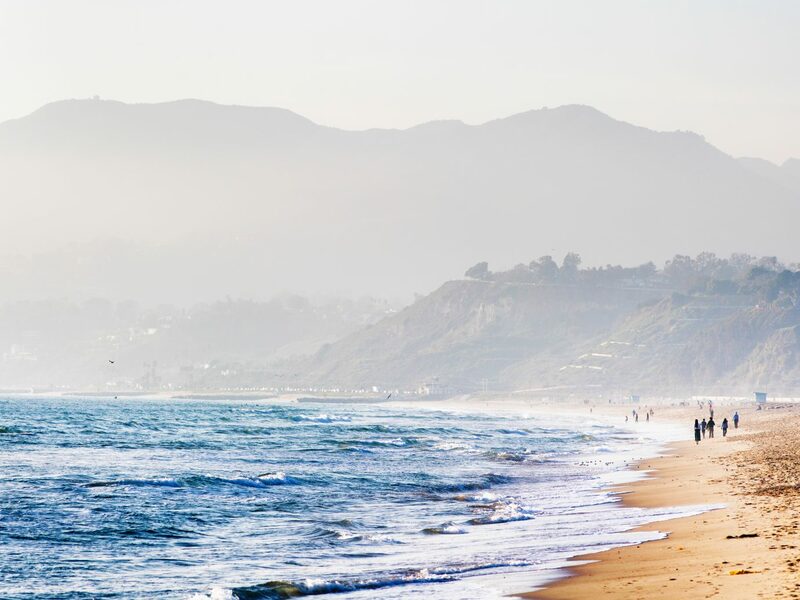 Situated on one and a half miles between Redondo Beach and Malaga Cove, Torrance Beach is a hidden gem on Santa Monica Bay that’s perfect for sunbathers and water sports fans alike. With a large parking lot and ramps that lead down to the shore, access to the beach is easy. 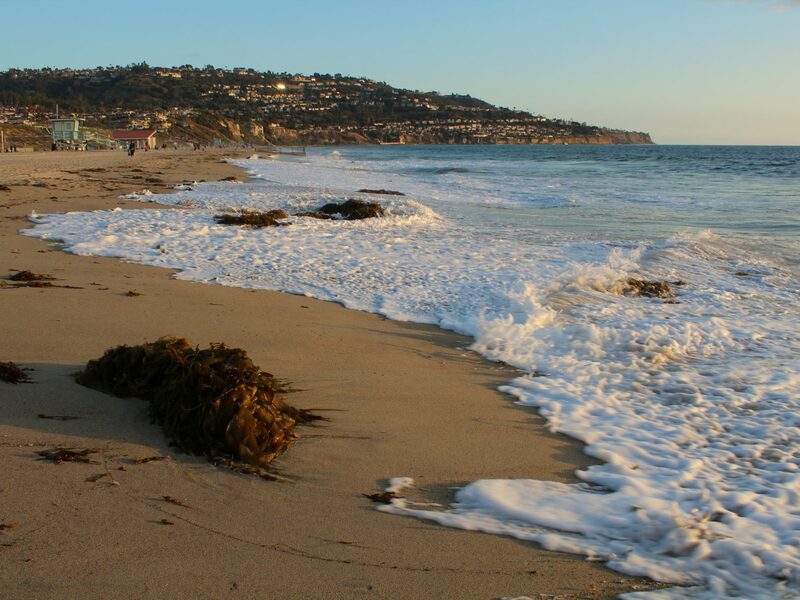 Torrance Beach is also the start of The Strand, the paved 22-mile path that traces the Pacific shoreline up to Malibu. After a long day of biking, swimming, or surfing, rest at the Miyako Hybrid Hotel, a luxury, eco-friendly stay located just minutes from the beach. 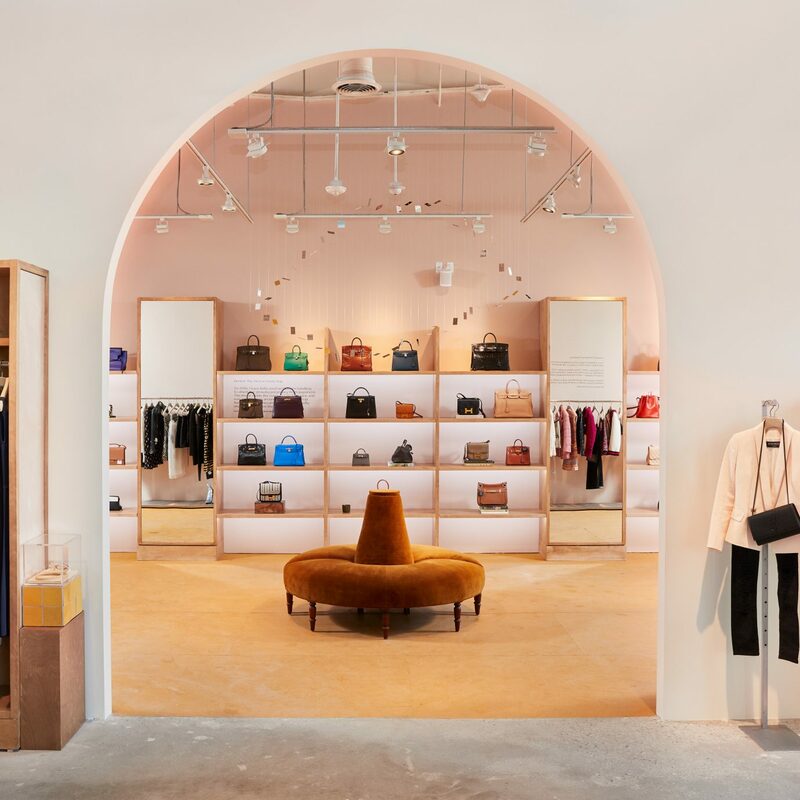 San Diego is well-known for its year-round perfect weather and dreamy beaches—but as a result, they tend to get overcrowded fast. 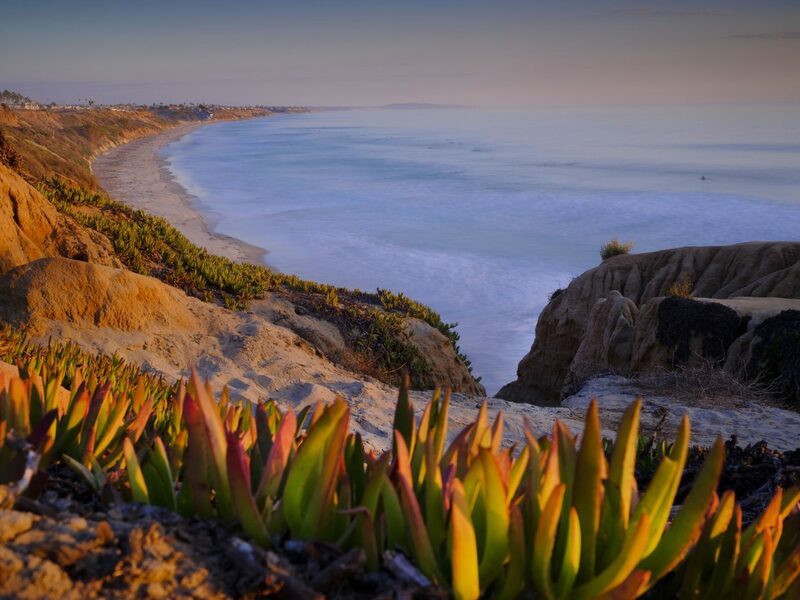 Carlsbad, located just 35 miles north of San Diego, offer a less congested alternative. 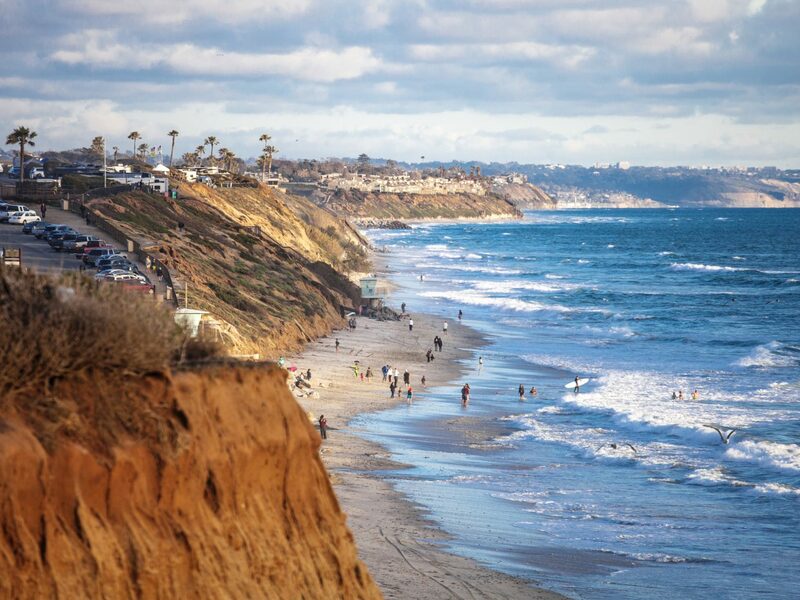 South Ponto Beach sits on the border of Carlsbad and Encinitas in an undeveloped area, making it one of the widest beaches in the county with plenty of space for picnics, volleyball, and other activities. 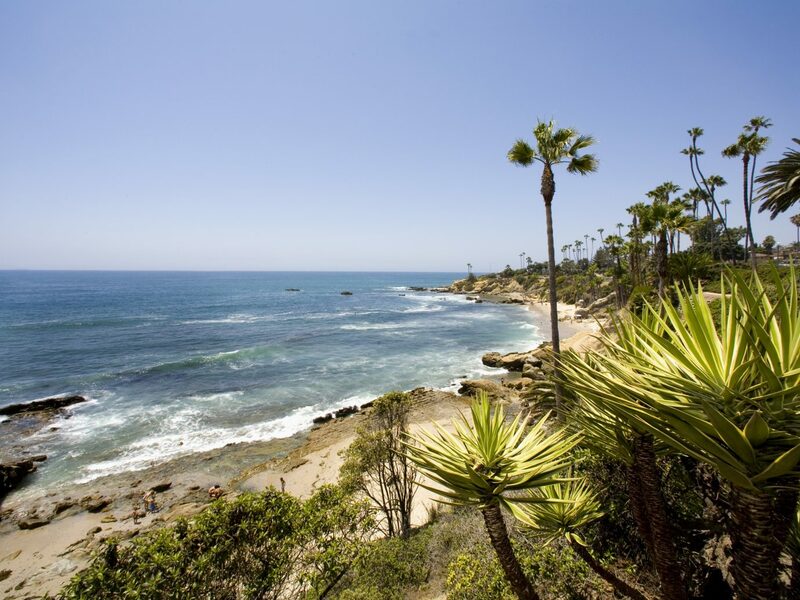 Thanks to South Ponto’s relative seclusion, the free parking spaces along Coast Highway are always plentiful, especially during non-summer months. 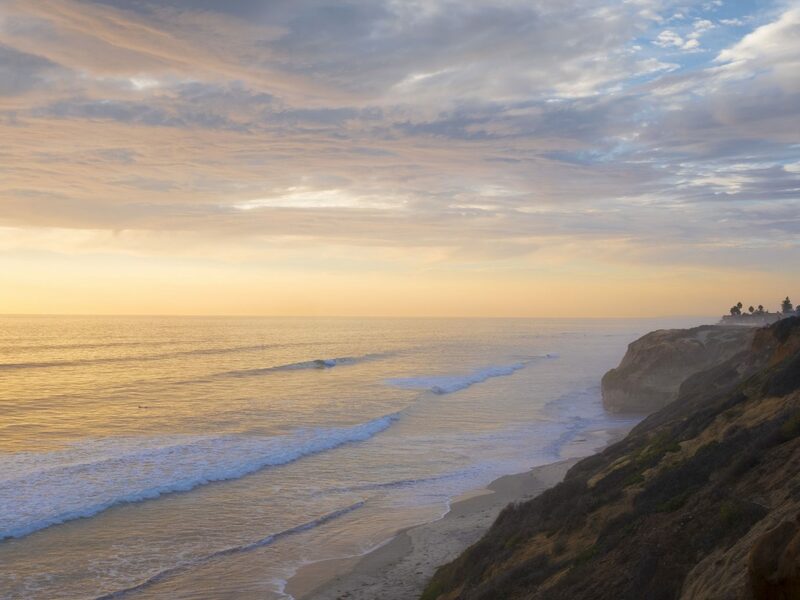 Nearby, the Westin Carlsbad Resort and Spa features a full-service spa and golf course. If kids are in tow, they’re sure to appreciate the hotel’s private entrance to the LEGOLAND California amusement park. 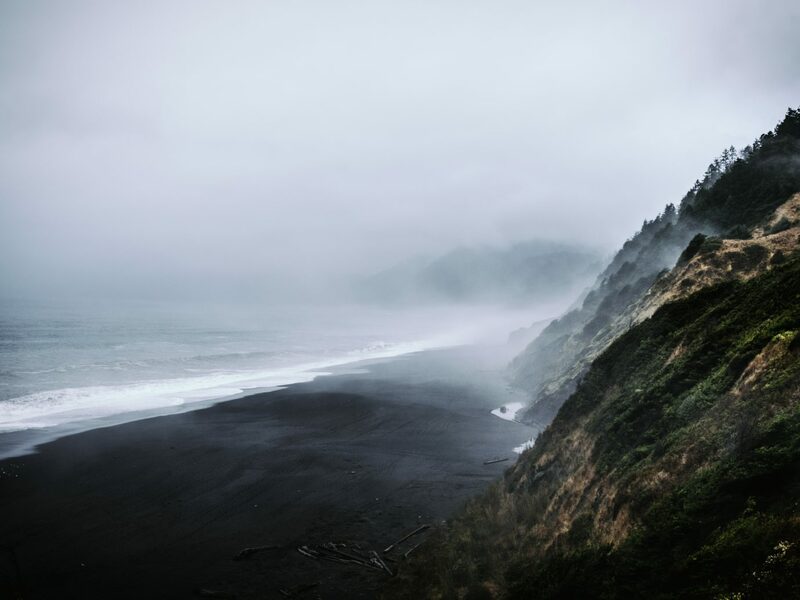 Black sand beaches are known for their Instagrammable beauty—and their tendency to become blazing hot during the midday hours. 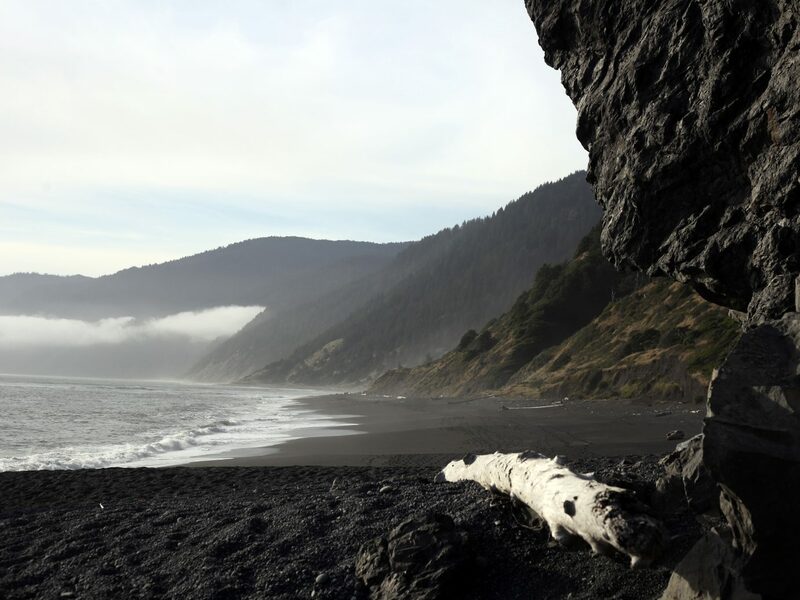 Yet Homboldt County’s Black Sands Beach, located on the far north coast of California, offers the picture-perfect landscape without the blistering heat. 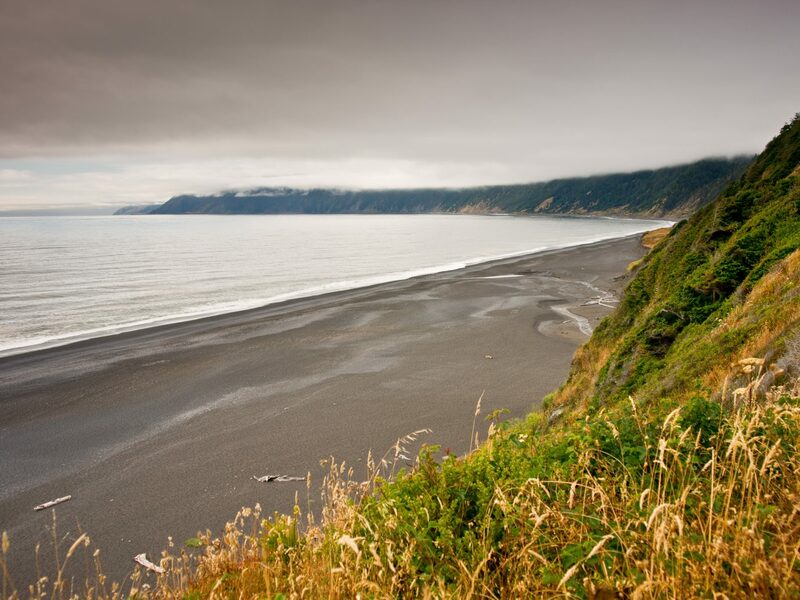 The 3.5 mile beach is perfect for wildlife lovers, who may catch a glimpse of numerous native fish and bird species. 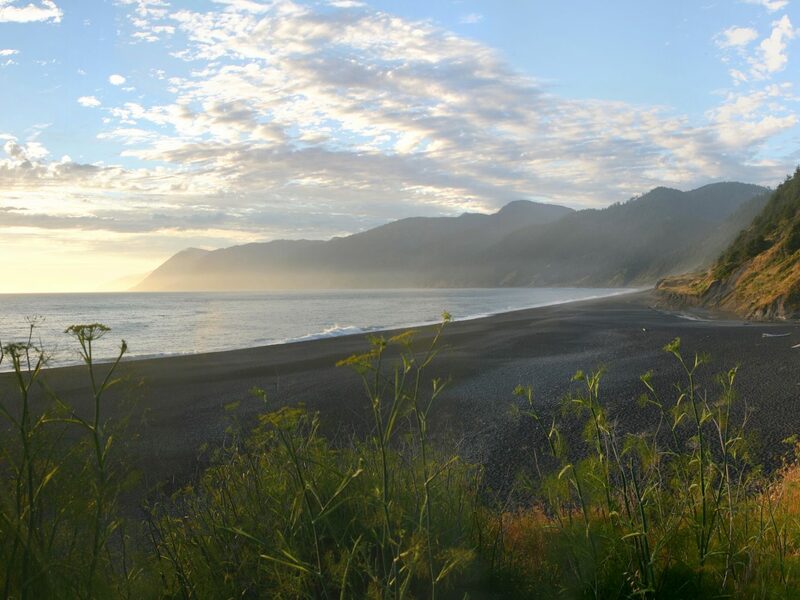 There are tons of camping spots nearby, but those planning a longer trip may want to stay at the Inn of the Lost Coast in Shelter Cove. 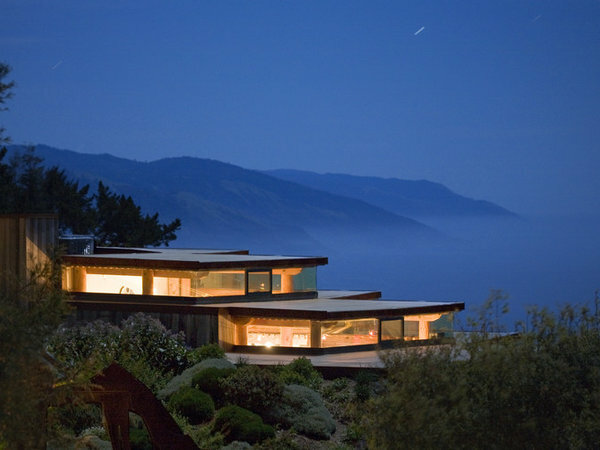 The boutique hotel offers unparalleled views of the Pacific Northwest coastline as well as multiple full-service restaurants. 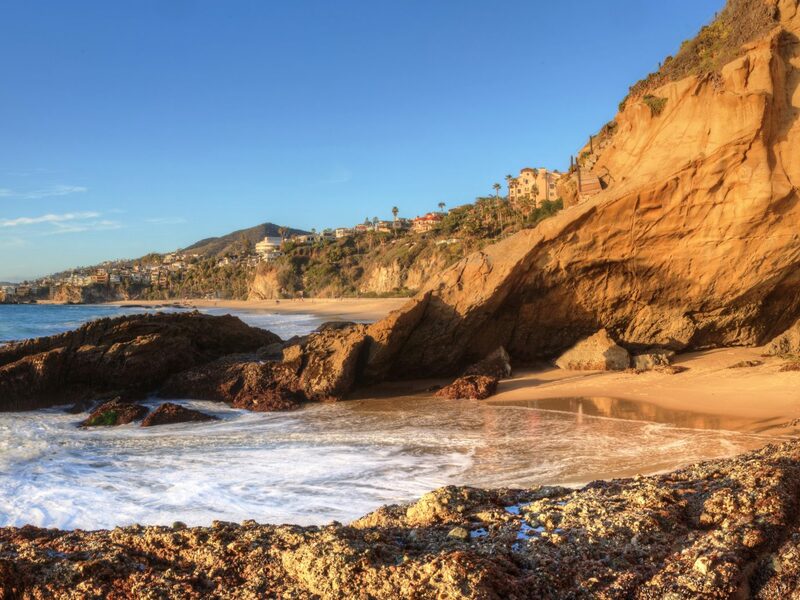 While getting to Orange County’s Thousand Steps Beach doesn’t actually require that many steps, it is still a bit of a hike. 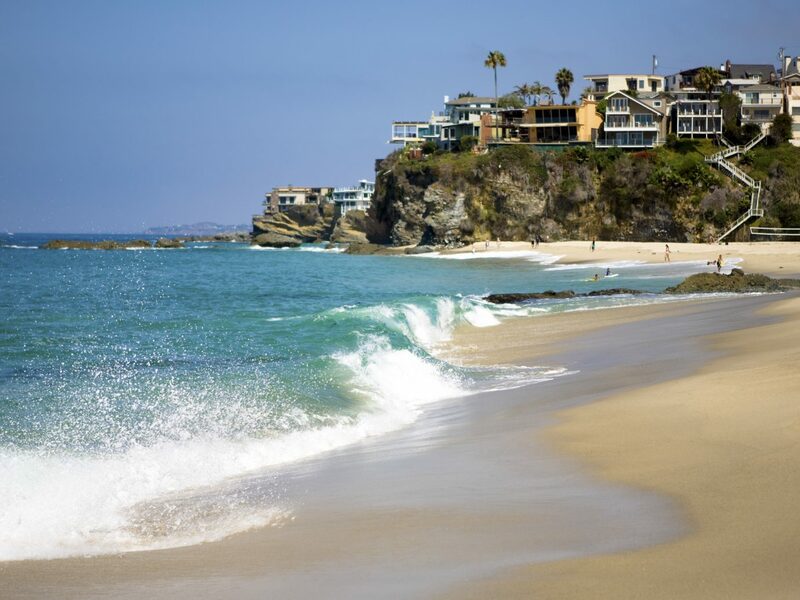 The good news is, once you descend the many wooden stairs to the shore, you’ll find a peaceful seclusion unlike anywhere else in Laguna Beach. 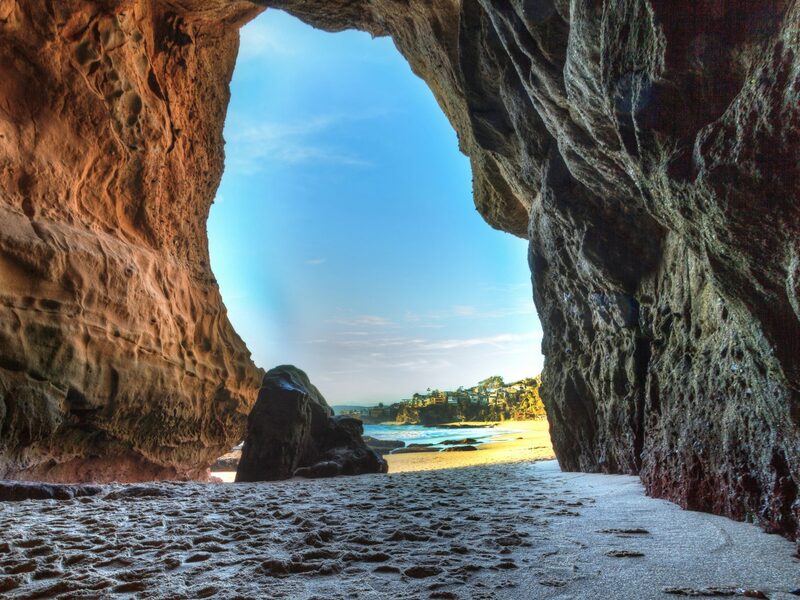 Thousand Steps is also home to a secret attraction: walk to the south end of the beach and through a large rock cave, and you’ll emerge at a small cove with two man-made swimming pools overlooking the ocean. Only locals know about this hotspot, but even they can’t get to it when the tide is high. 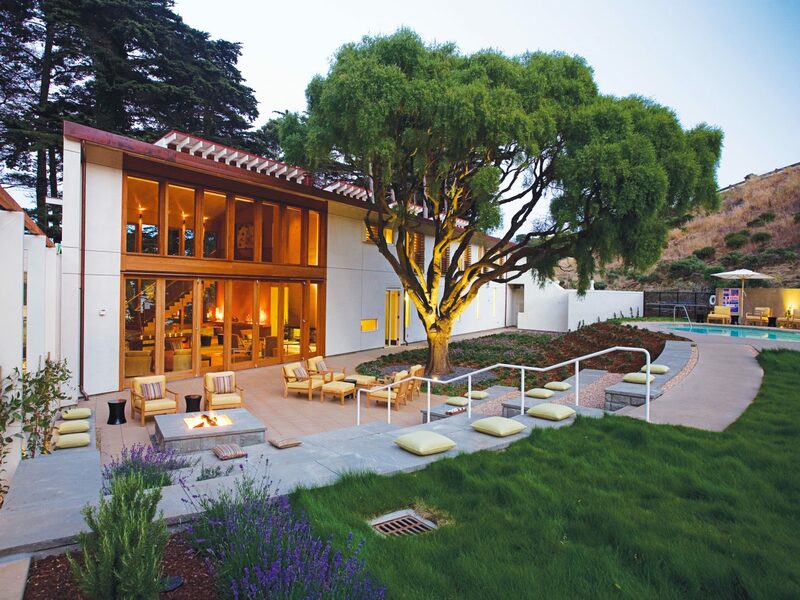 For luxury accommodations, the five-star Montage Laguna Beach sits on 30 acres of coastal bluff above the Pacific and doesn’t disappoint. Be sure to stop in the hotel’s The Loft restaurant for an interactive cheese bar featuring more than 50 options from California and around the world. 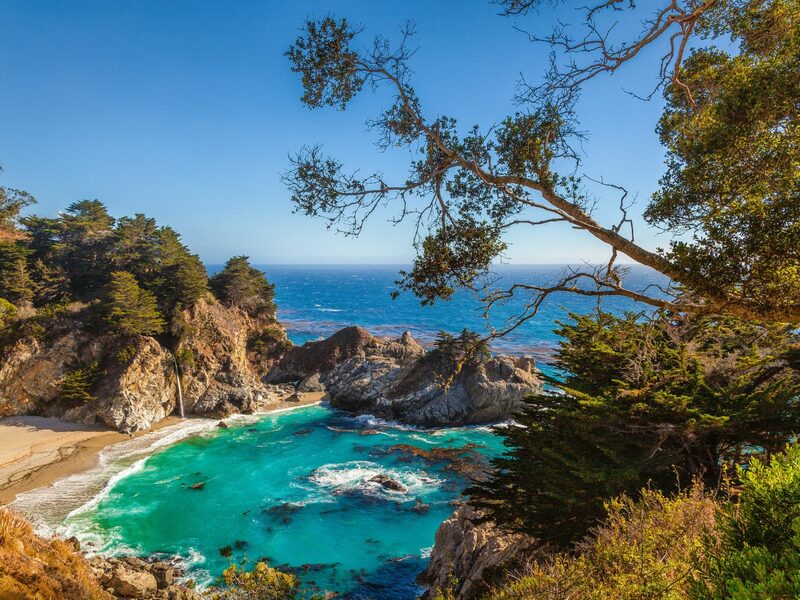 Located about an hour from Monterey and Carmel, Big Sur is nestled into a rugged, undeveloped section of California’s central coast that’s known for gorgeous mountain scenery and outdoor recreation. 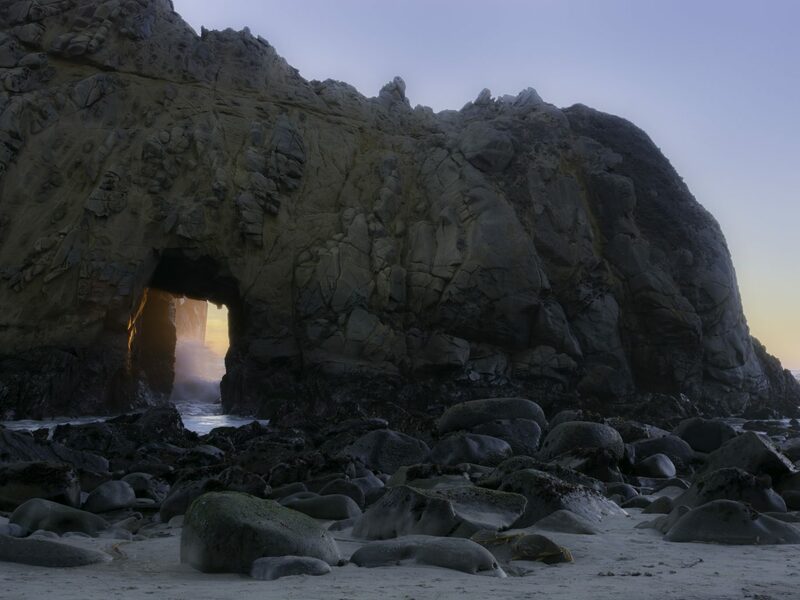 Pfeiffer Beach, with its rock formations, caves, and purple-streaked white sand (thanks to its unique mineral deposits), offers all of that—and none of the typical California beach crowds. 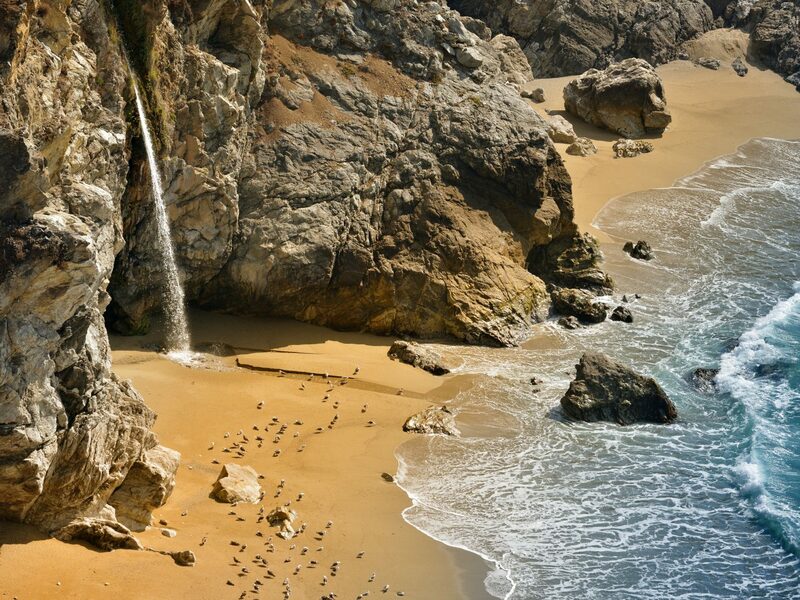 Visitors can relax on the sand, catch views from the iconic Bixby Bridge overlooking the shore, or snap pics at the natural arch of Keyhole Rock. 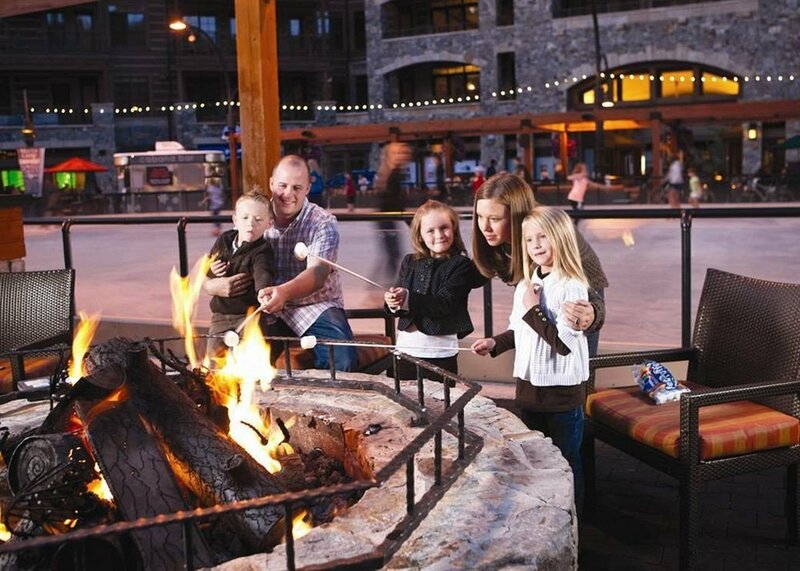 When it’s time to retire, head to Post Ranch Inn for a true hideaway experience. 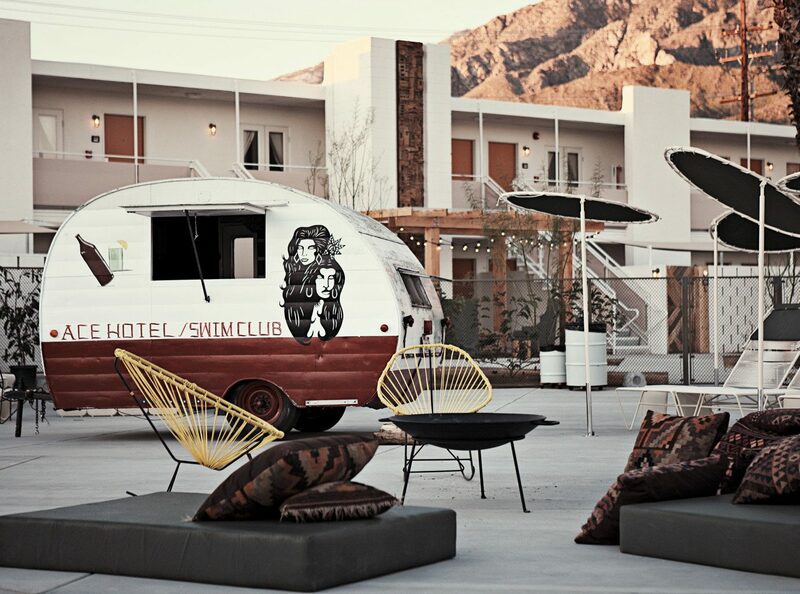 Or, if you fancy a more outdoorsy vacation, rent a private yurt via Treebones Resort and glamp the night away. There’s enough of a descent to San Francisco’s Marshall’s Beach that tourists tend to opt for the neighboring (and more easily accessible) Baker Beach instead. But those who brave the long and windy path down the coastal bluff will find a narrow stretch of shore that bumps right up against the base of the Golden Gate Bridge. 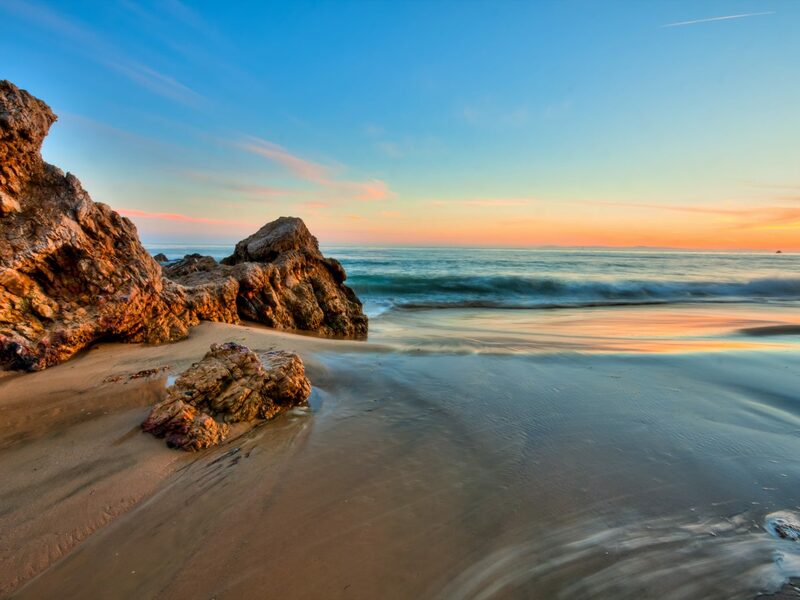 The water isn’t ideal for swimming due to chilly temps and strong rip currents, but Marshall’s Beach is still great for relaxing and snagging a front row seat to the bay’s golden sunsets. 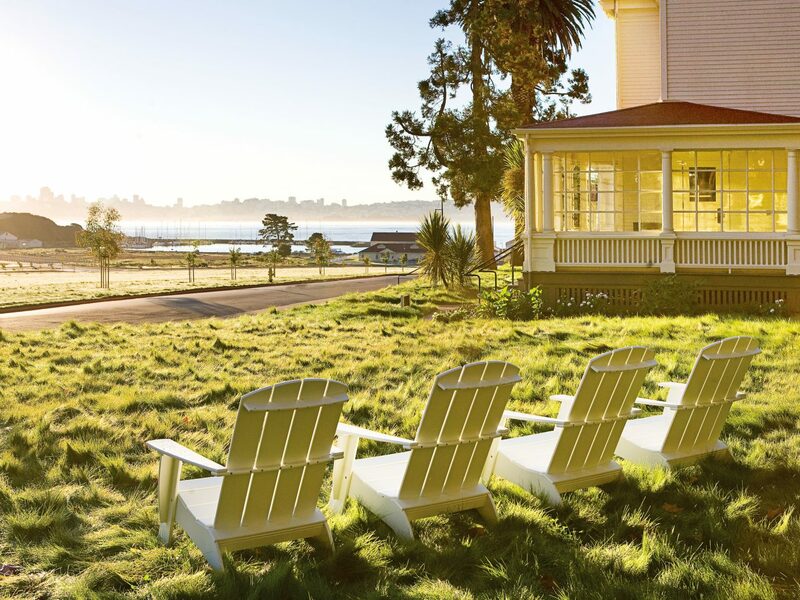 There’s no shortage of lodging options in San Francisco, and if you want to stay close to Marshall’s, go for Cavallo Point. 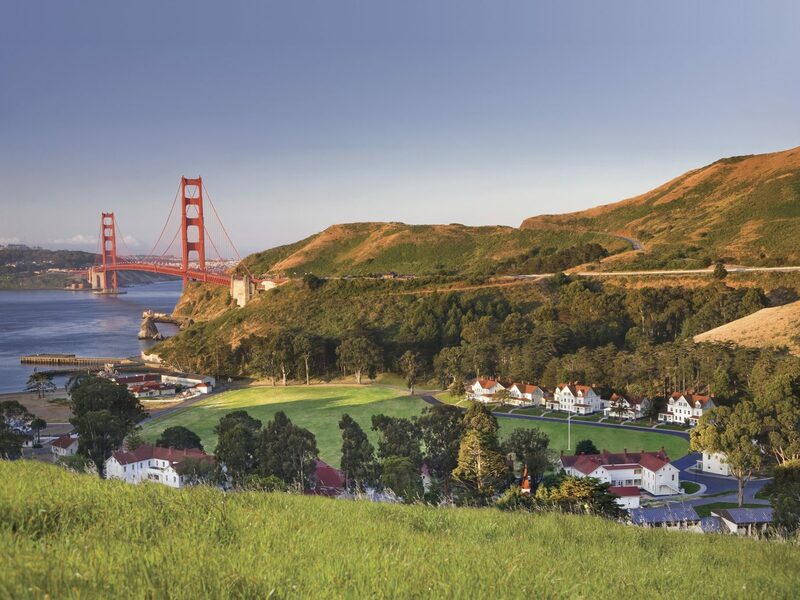 It’s situated at Fort Baker, a former U.S. Army port, and features sweeping views of the Golden Gate and the San Francisco Bay.